Left to right: Professor Nicholas Tonks, COO Dill Ayres, CEO Dr. Bruce Stillman, Mr. Matthew Larson, Emma Larson, Mrs. Dianne Larson, NYS Governor Andrew M. Cuomo, Empire State Development Commissioner Howard Zemsky, Professor Adrian Krainer, and Director of Research Dr. David L. Spector. 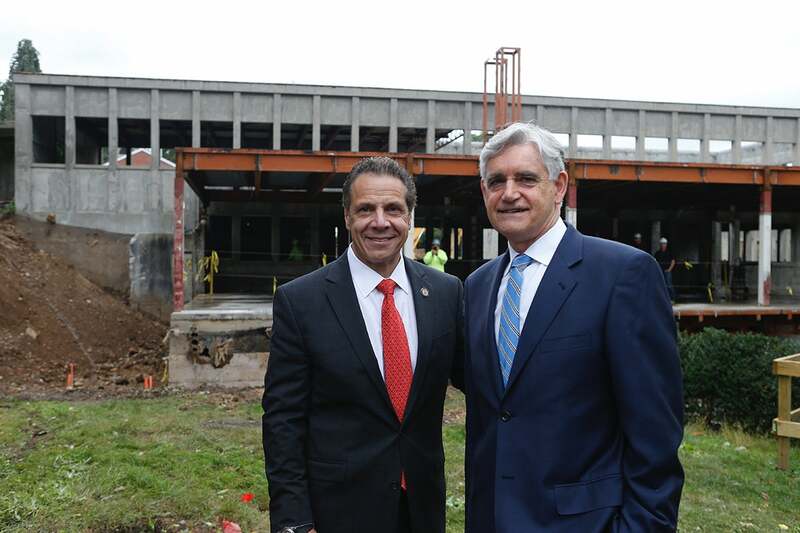 Cold Spring Harbor, NY — New York Governor Andrew M. Cuomo visited Cold Spring Harbor Laboratory (CSHL) this morning to break ground on the new $75 million Center for Therapeutics Research. 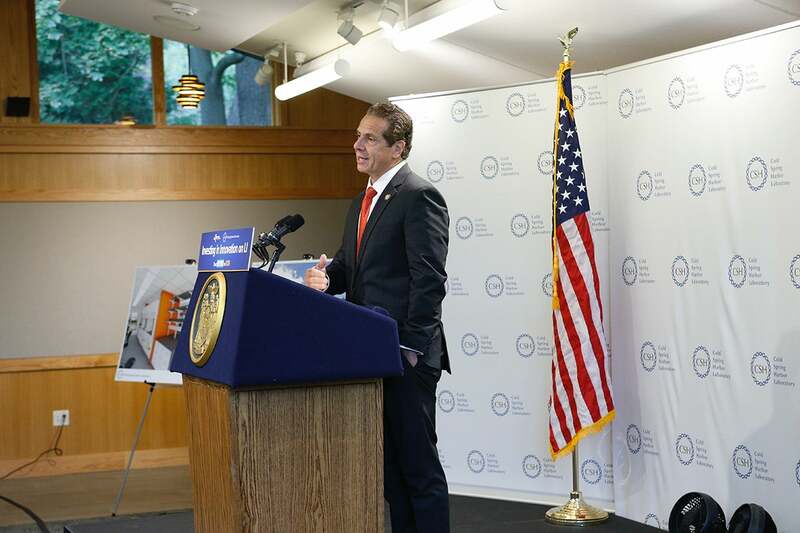 The State of New York has invested $25 million in the new center, which will support advancements already under way in breast cancer, leukemia, autism, obesity/diabetes, and lung cancer therapeutics. The Center for Therapeutics Research will be housed in the Demerec Laboratory, which is currently being renovated to house the latest addition to the laboratory. Built in 1953, Demerec Laboratory has been home to the laboratories of four of CSHL’s eight Nobel Prize winners, and will soon welcome 30 new scientists. Funding from the state builds on the Governor’s efforts to foster a thriving biotech corridor among major institutions on Long Island. 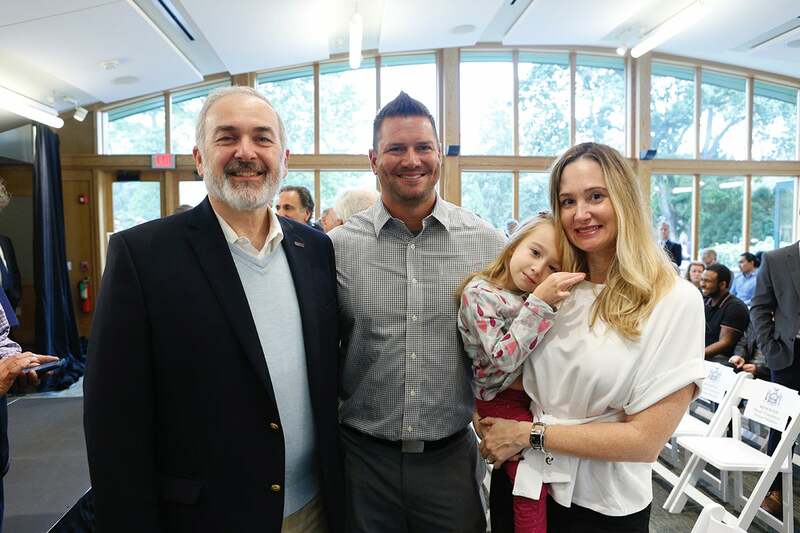 CSHL Professor Adrian Krainer, whose basic research developed a drug to treat Spinal Muscular Atrophy (SMA), was joined by the Larson family at the event. 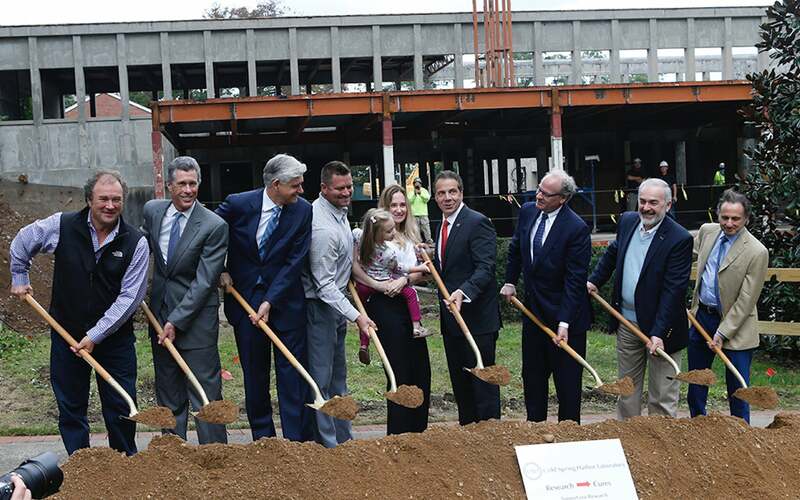 Emma Larson, a four-year-old who participated in the clinical trial for the FDA-approved drug Spinraza™, helped the governor break ground. Left to right: Professor Adrian Krainer, Matthew Larson, Emma Larson, and Dianne Larson.